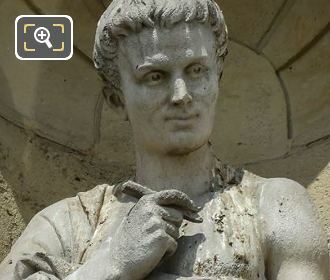 Again we were looking at the Aile de Marsan wing of the Musee du Louvre, which is located in the 1st Arrondissement of Paris, and we took these high definition photos showing the statue of Horace, by Louis Charles Janson. 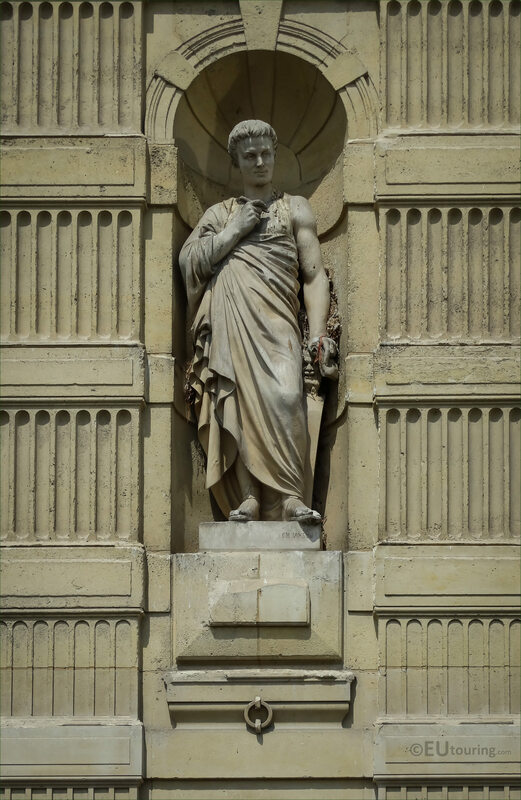 This first HD photo shows the statue depicting Horace, which can be found in a niche on the first level of the Aile de Marsan wing as you are looking at the facade from the Cour du Carrousel courtyard. Now this was produced by Louis Charles Janson who was born in the November of 1823, yet went to Paris to study at the Ecole des Beaux Arts, become a French sculptor, who had a very successful career with numerous commissions for statues, bas reliefs, etc that were to enhance famous tourist attractions like The Louvre and the Palais Garnier. 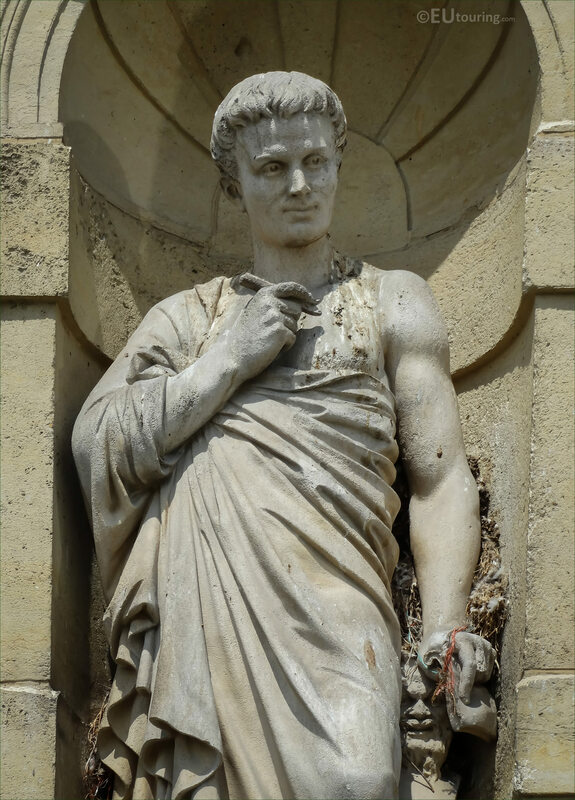 And here you can see a closer photograph showing the statue of Horace, and this was designed to depict the leading Roman lyric poet, and hence why you can see a pencil in his right hand. Yet his left hand was holding a book, although part of this and his thumb was unfortunately missing when we took this picture, but it is the Odes that are the most recognised of the works produced by Horace and have been used widely over the centuries.